IMPORTANT VISA INFORMATION: (from Dr. Gokhan Danabasoglu) Citizens from some countries (such as USA) need a visa to enter Turkey. It takes less than 5 minutes to obtain a visa online. The web address is https://www.evisa.gov.tr/en/. It contains all the needed information. The cost is $20 + some minor fee. It may be possible to get the visa upon arrival to Turkey, but the cost goes up to $30. The school aims at bringing together graduate students, early career scientists, and experts in ocean and marine ecology modelling. It will consist of daily morning sessions organized around key topical lectures focusing on fundamentals and applications, followed by daily afternoon sessions devoted to practical training. These practical sessions will be the backbone of the school, with hands-on training in the use of ocean and ecological models. The students will be guided through the necessary steps to set up a simulation, from generating the input fields to choosing the appropriate physical settings, to finally analyzing and post-processing the data. Major attention will be devoted to the Mediterranean Sea, the Black Sea, oceanic straits, and selected coastal areas. The activity will not only deal with the physics of the seas but also with marine bio-geochemistry and ecosystem modelling, its interaction with the physical climate and possible consequences on social and economical aspects. Practical examples for ocean sustainability, predictability, and forecasting are also envisaged. The school will provide state-of-the-science knowledge, understanding and tools on the subject matters for graduate students and early career scientists from Turkey and neighboring countries, leading to improvements in their research based on knowledge transfer and capacity building. The students are expected to acquire both the theoretical and the practical knowledge necessary to use ocean and bio-geochemical models. It is of primary importance to train and foster research in ocean climate and marine ecosystem modelling world-wide because many countries have vulnerable coastal areas that will be affected by anthropogenic climate change which will undoubtedly impact a number of socio-economic activities (e.g., fishing, tourism, and water quality). This calls for the need to identify scientifically sound mitigation and adaptation policies, which are strongly site specific. It is thus necessary to provide scientists with the necessary tools to establish and promote their own ocean modelling and ecosystem studies. A sound quantitative knowledge of ocean physics as well as marine ecosystem dynamics are essential to promote a sustainable development of activities related to ocean ecosystems and coastal areas and ultimately improve the quality of life of many developed and developing countries. 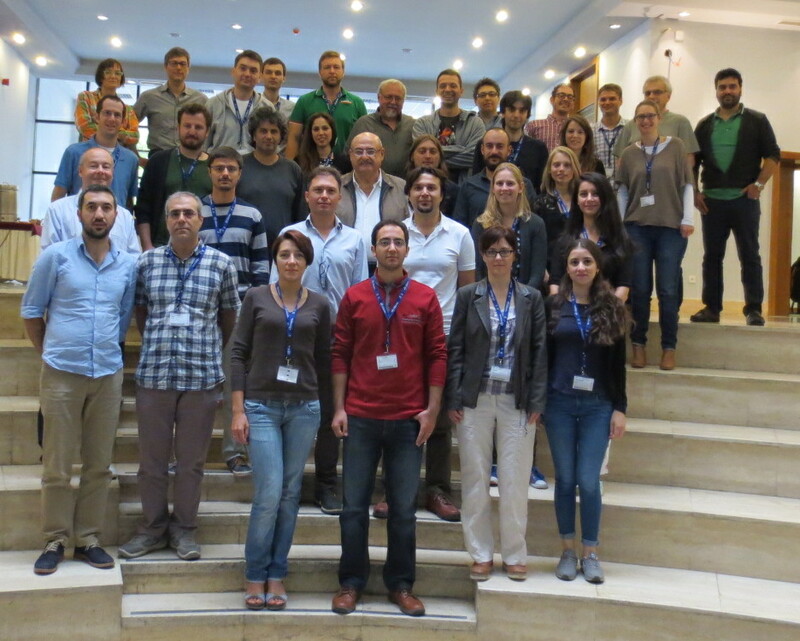 The primary goal of this activity is to train young scientists from Turkey and neighboring countries to develop, maintain and use ocean hydrodynamic and marine ecosystem models, mainly in regional configurations.